176 pages | 14 B/W Illus. Tourism can take many different forms and types but increasingly it is viewed as one of the most innovative industries. This book showcases the innovations in tourism through a creativity, sustainability and technology perspective. Tourism Innovation: Technology, Sustainability and Creativity addresses the growing use and importance of tourism innovation in society. Readers of this book will gain a global perspective on how the tourism industry is changing and taking advantage of emerging technologies, which will help them to foresee potential changes in the industry and plan for the future. Tourism innovation is defined as innovating in a cost-efficient manner by taking into account the available resources. Most of the focus on tourism innovation has been on developing countries but it is also used by companies in other locations. 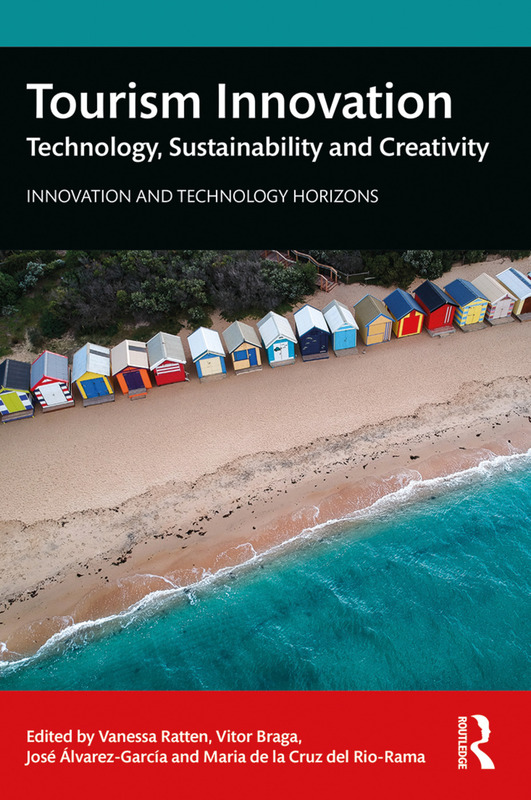 This book explores the way in which tourism innovation differs from other types of innovation and offers a creative solution to issues about sustainability and the circular economy. In this vein, it includes chapters addressing issues related to the following but not limited subjects: co-creation in innovation, social issues in innovation, leadership and innovation, forms of innovation, government innovation and innovation research. This book is suitable for tourism industry professionals, researchers and policy experts who are interested in how innovation is embedded in the tourism industry. 3. Challenges and dilemmas of tourist studies for the 21st century: Is tourism in bias of disappearance? Vanessa Ratten is an Associate Professor of Entrepreneurship and Innovation at La Trobe University, Australia. Vitor Braga is an Associate Professor at the School of Technology and Management of Felgueiras, Polytechnic of Porto, Portugal. José Álvarez-García is an Assistant Professor and Researcher at the University of Extremadura, Caceres, Spain. Maria de la Cruz del Rio-Rama is an Assistant Professor and Researcher at the University of Vigo, Galicia, Spain. As business landscape constantly shifts in today's digital age, this timely series looks at how business and society can harness technological innovation to succeed and drive progress. The books in this series identify new innovation capabilities and emerging technologies and investigate the managerial implications of such technologies. As business processes become increasingly complex, the series also explores how businesses can transform themselves with new digital technologies while aligning themselves with today’s societal goals. This series provides direction through research on innovation and technology management and will be of benefit to anyone who is keen to thrive in an evolving business environment.